Risk vs Reward: What’s it worth to you? CrossFit was a new strange addiction for me when I started. The results were clear, and the gains were exciting. 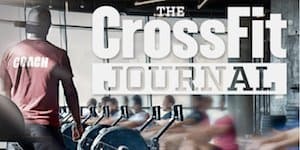 I’ve never done anything before that made me look and feel the way CrossFit did. My first six months of CrossFit was great. I became familiar with all the movements as I worked with light weight because that’s all I could handle. The stronger I got, the more excited I got so I started pushing myself harder and using heavier weight. My lifts were far from perfect, but I had the brute strength at that point to do them imperfectly, so I did. By year one, I was out on a back injury for 3 months that cost me not only my workouts but a ton of money seeing doctors as well. I started back ASAP when I started to feel better and tried doing the weights I did before…not happening but I eventually returned to normal. A year and a couple months later my arms started bothering me. A dull aching pain that I pushed through until I realized something was wrong. After seeing a doctor, I was told I had bicep tendonitis in both arms. The recommendation was to relax for two weeks. Well of course I did not do that, I decided to focus on lower body instead. So, one cold night in December I did heavy front squats, I felt a slight pain in the middle of doing them but finished the work out. The next day I knew something was wrong. I had a sharp pain in one of my groin muscles. The diagnosis was a strained muscle. So now I had zero use of my upper and lower body. During that time, I also had a vitamin D and B12 deficiency which resulted in me feeling like total crap. Probably one of the most depressed I’d been. Long story short, I was out 7 months total. When I started back after I was healed, and my vitamin levels had returned to normal, I started with super light weight. I figured this was a fresh start. I erased everything I did in the past from my mind. I relearned the lifts. I listened to the constructive criticism my coaches gave, and I gave zero crap about 1 rep maxes. Who cares how quick you finished the workout or how heavy your lift was? If you did it sloppy and incorrect what’s the point? Today I have been injury free for 2 years. When something doesn’t feel right, I stop. When my body hurts, I rest it. I stretch and roll out as often as possible. I get massages and see the chiropractor as often as possible. I work out 3-5 days a week now and have better results, more gains, and less injuries than when I did 5-6 days a week. A week of rest is not going to set you back. Even 2 weeks! Better to rest two weeks than be out 7 months.